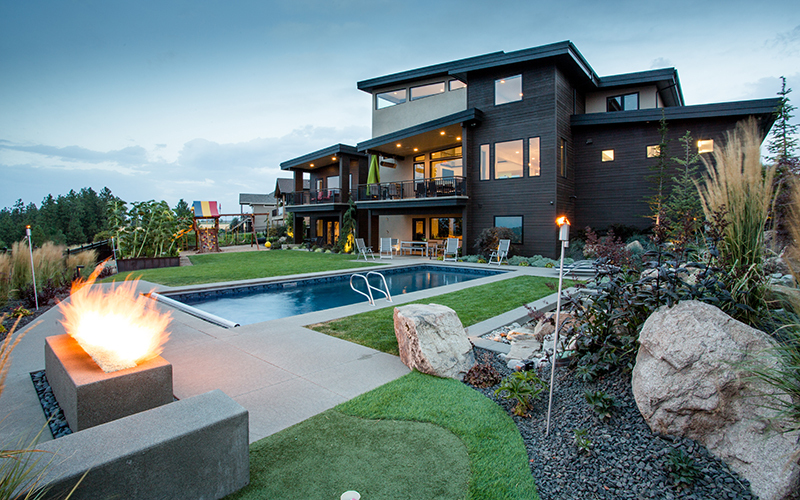 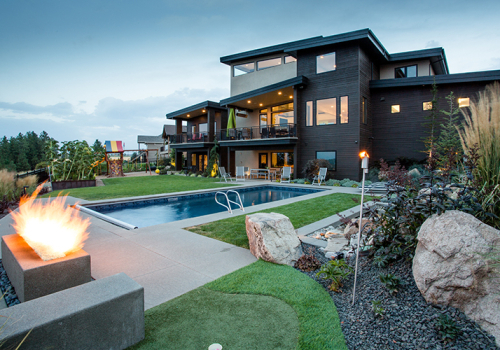 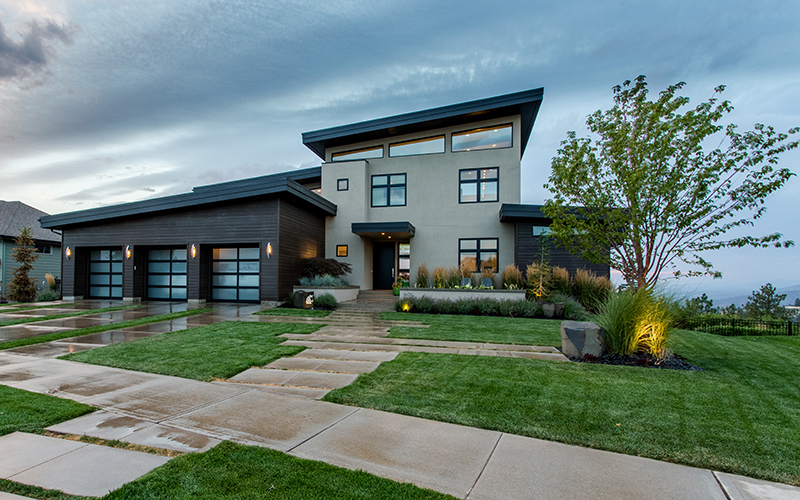 Perched on the edge of Five Mile Prairie, this contemporary home offers something for the whole family. 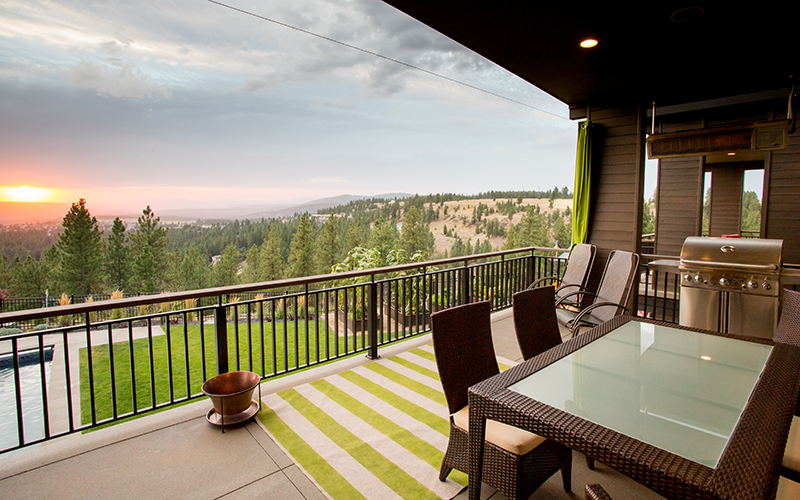 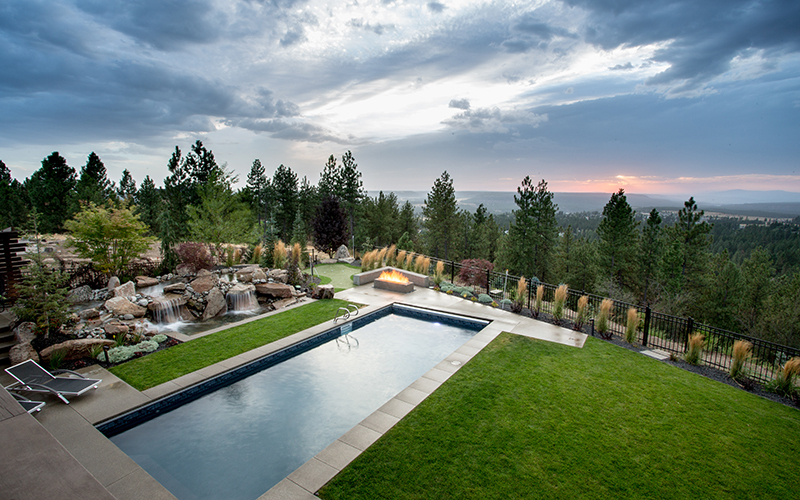 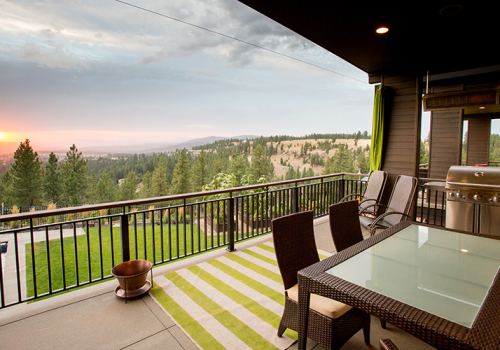 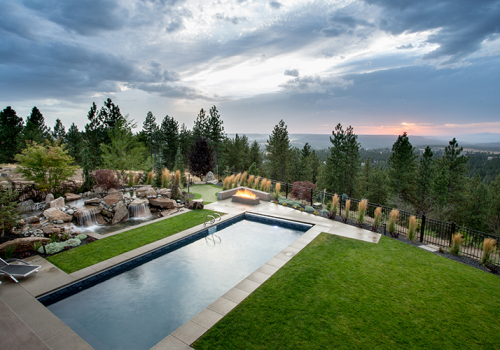 The panoramic views are a stunning backdrop for the feature-packed back yard. 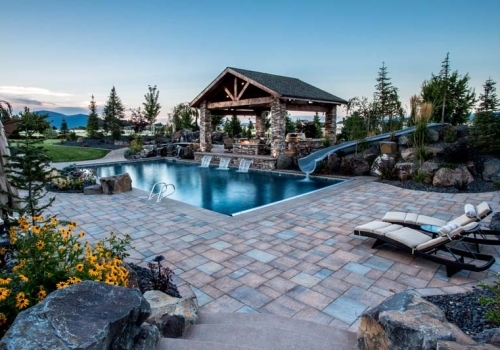 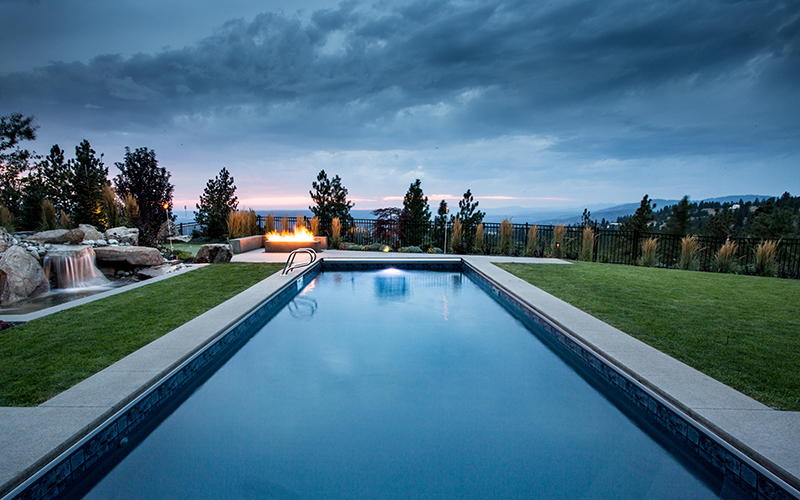 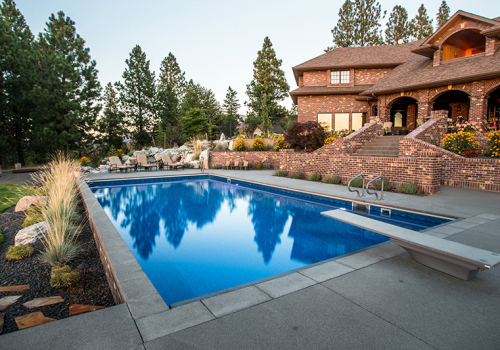 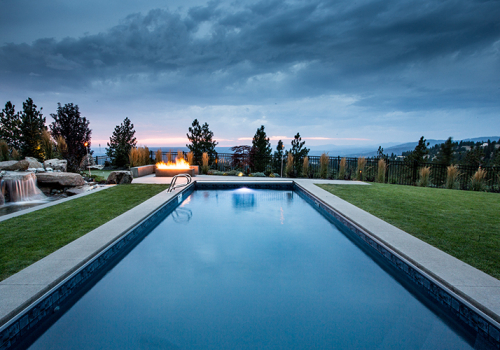 Front and center is the vinyl pool, whose shallow depth is perfect for kid-friendly games and grown-up entertaining. 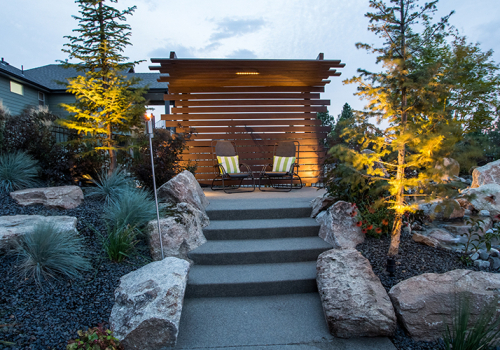 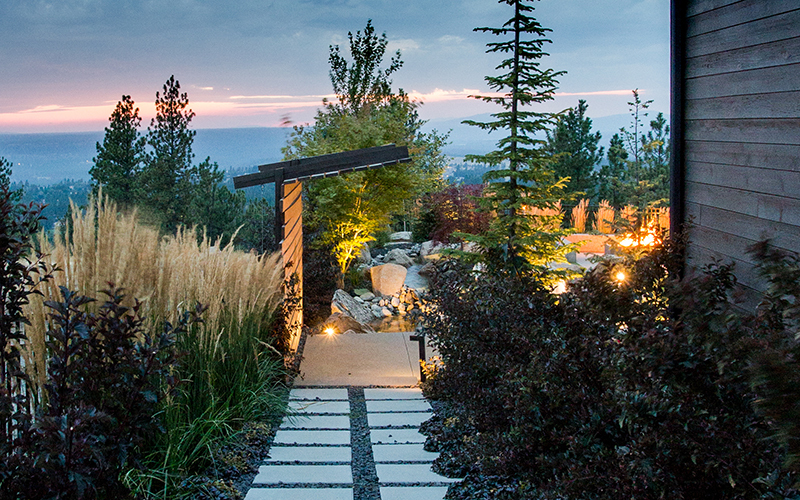 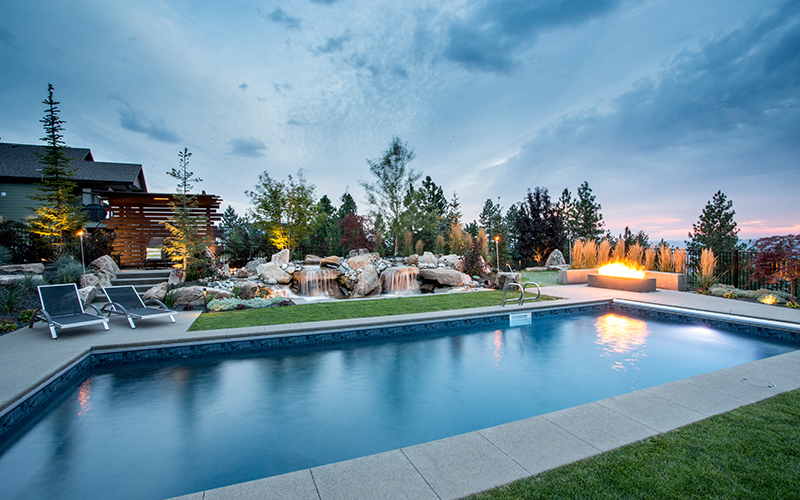 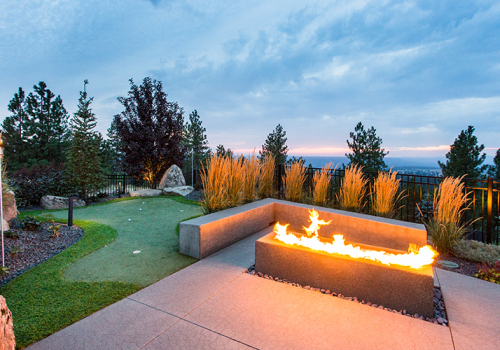 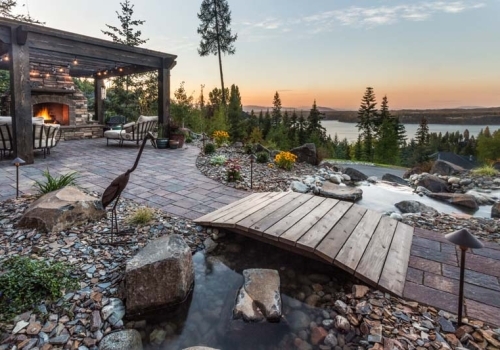 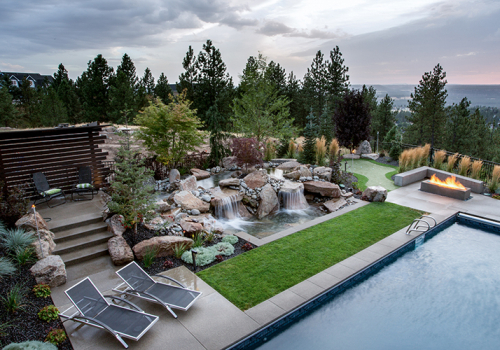 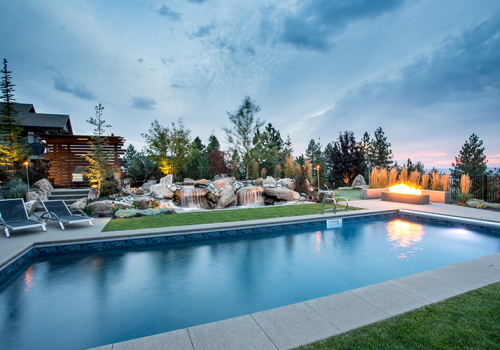 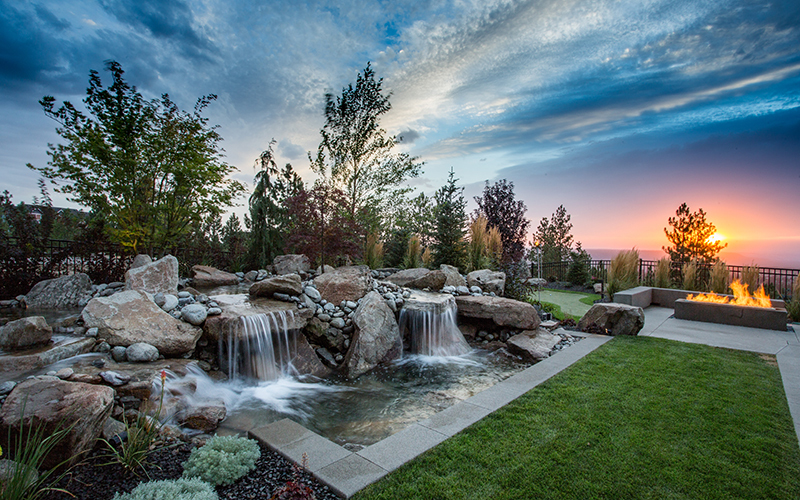 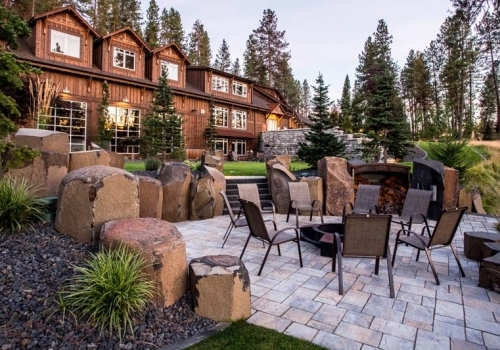 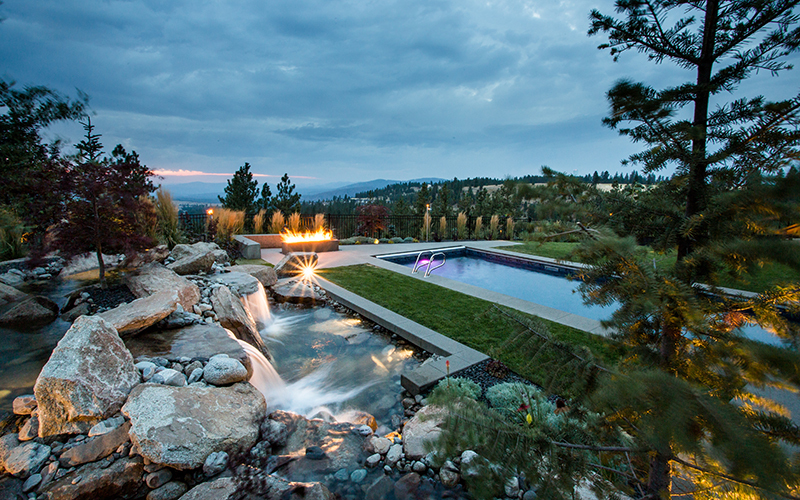 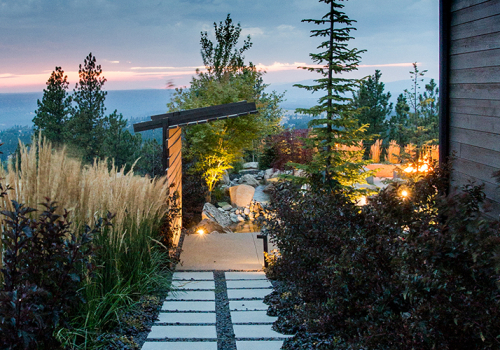 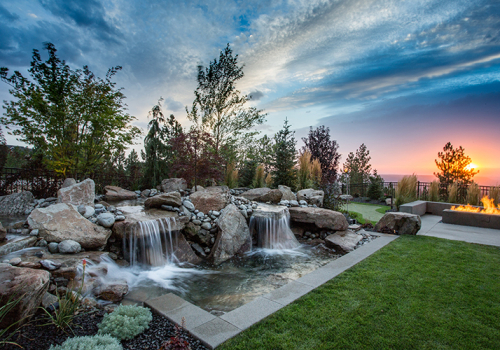 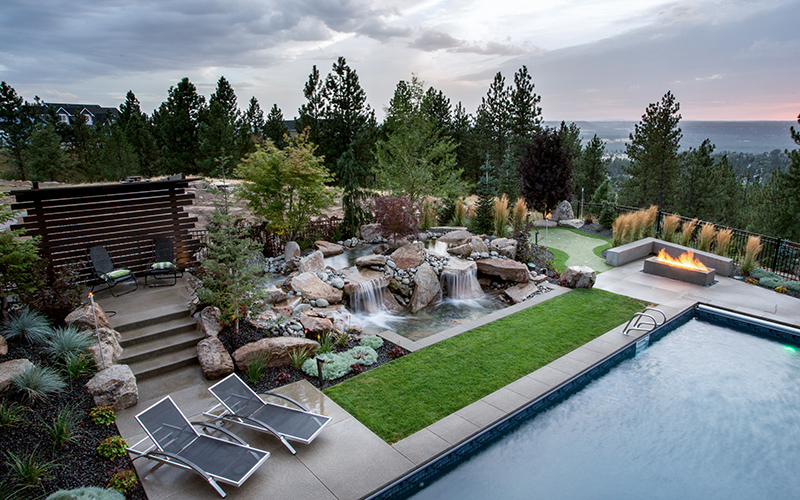 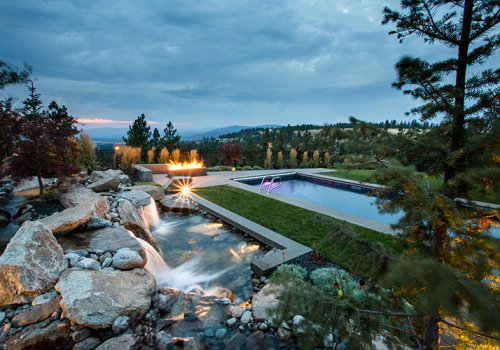 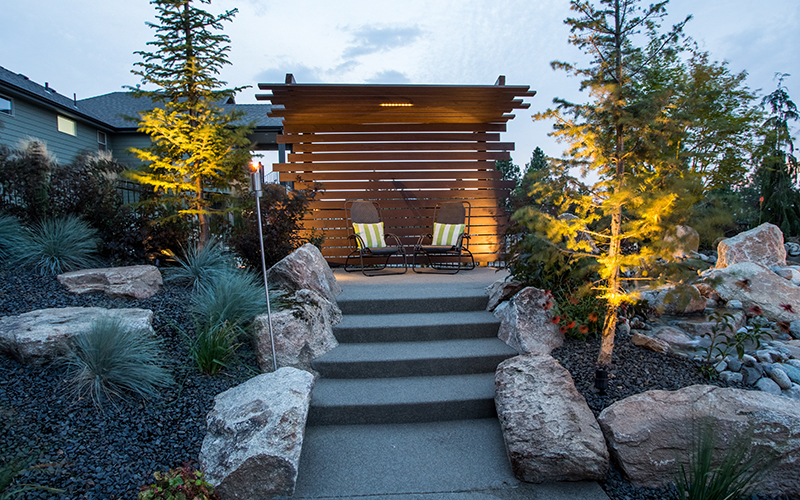 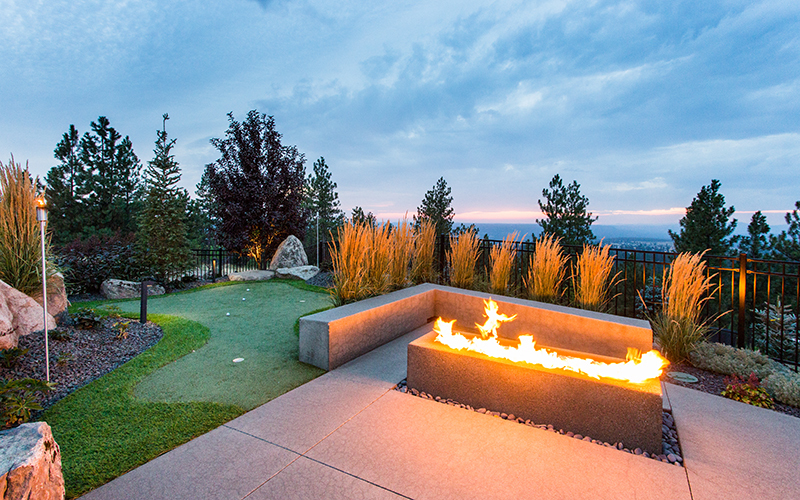 A natural rock water feature anchors one end of the yard, flanked by a gas fire pit and cozy lookout nook. 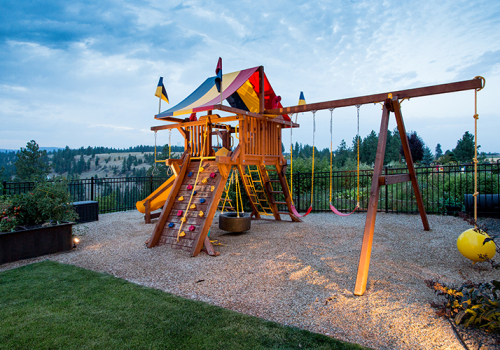 Nestled in the corner is a putting green for the family to hone their short game. 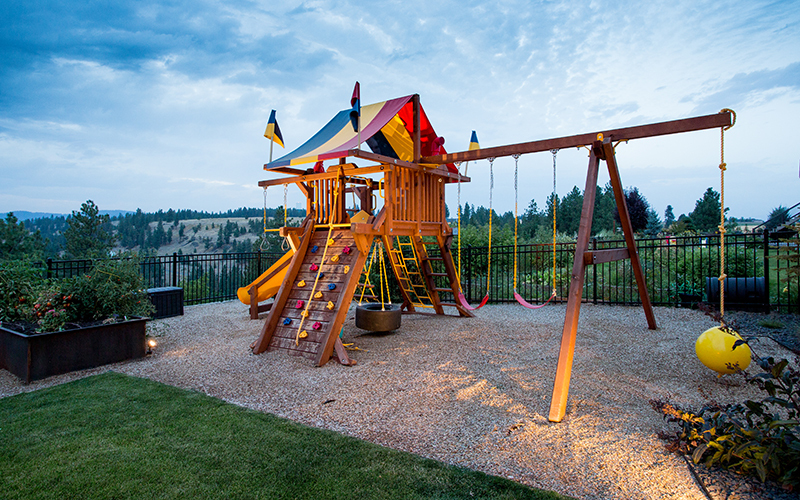 The lawn sweeps across to the raised garden beds and children’s playset to complete the backyard. 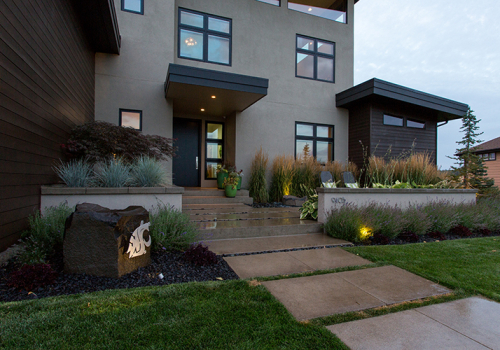 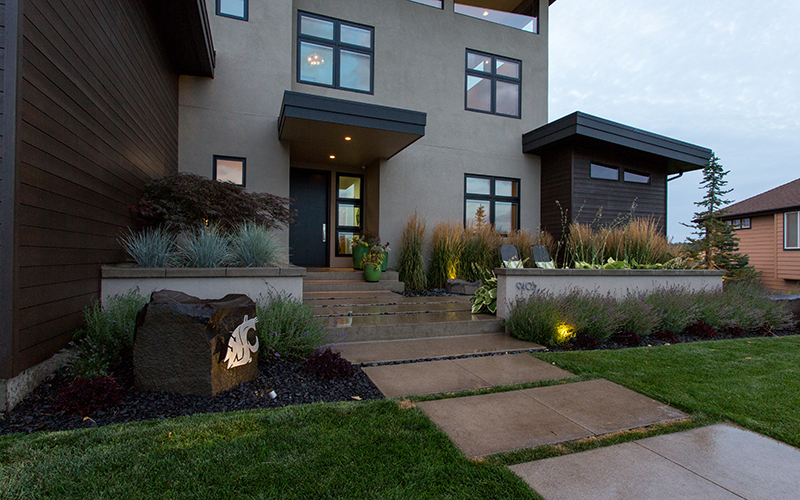 The front features a staggered concrete walkway and entry courtyard to complement the vertical lines of the house, with a bit of Cougar pride thrown in.